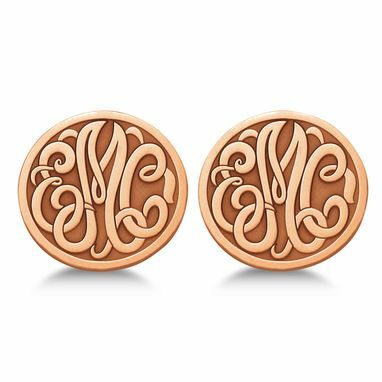 Add a personal touch to these fine custom initial monogram post-back earrings in 14k white gold. 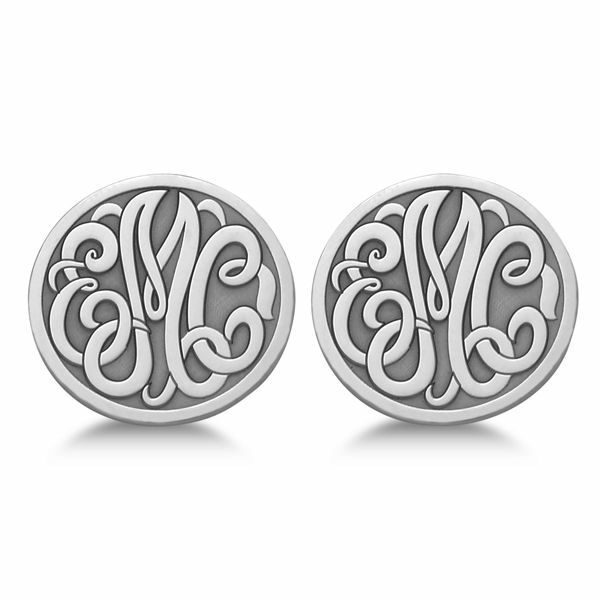 Three initial characters will be carved in a lovely calligraphy font with a polished finish. Approximate gold weight of 2.71 grams will vary depending on size and lettering options.